This is an original photostat model sheet from the Walt Disney Studios production of The Black Cauldron. 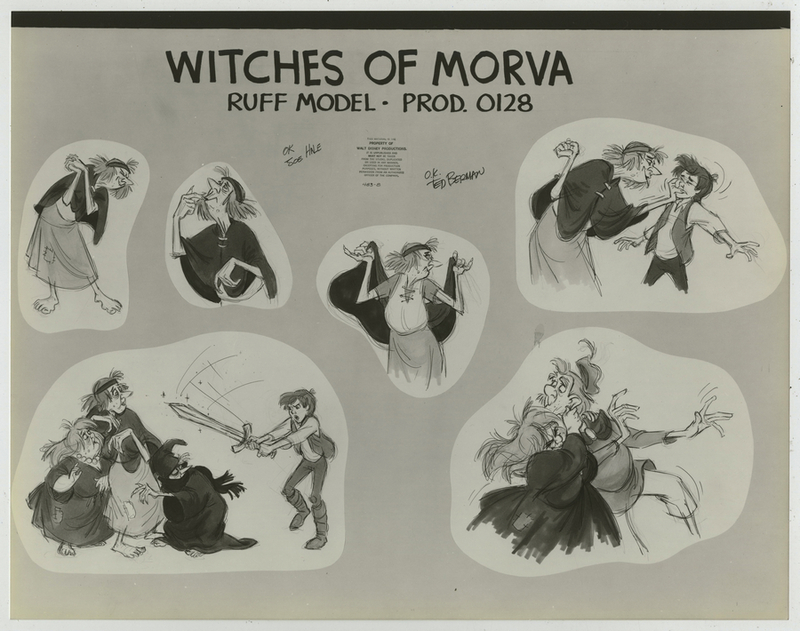 This model sheet features the Witches of Morva, Orgoch, Orwen, and Orddu, as well as Taran, and Fflewddur Fflam, and was created at the studio and used during the production of the film as a reference tool for animators to ensure consistent character design. The overall measurements of the piece are 11" x 14". This is an original photostat model sheet created at the studio and it is in good condition.